Home » News and Views » Ian Pollard – Immarsat #ISAT strong positive momentum leads to dividend cut. By Ian Pollard in News and Views, Uncategorized on 9th March 2018 . Focusrite TUNE has seen first half growth in revenue, profits and cash, across a wide range of product groups and regions.Christmas trading was particularly strong and revenue for the half year is expected to have risen by over 25% to a total of 38m. 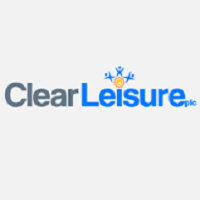 Clear Leisure plc CLP updates that its first data mining computers have now completed testing and its mining mobile units is ready to be shipped to its permanent home in Serbia and the first fractions of Bitcoins have already been extracted in ‘mining pool mode’. Delivery of low cost miner machines is expected within 10 days.A continuous daily stream of fractions of Bitcoin can now be mined.The results so far indicate that the joint venture with Miner One Limited will be able to produce more Bitcoin than initially anticipated and at a lower cost.